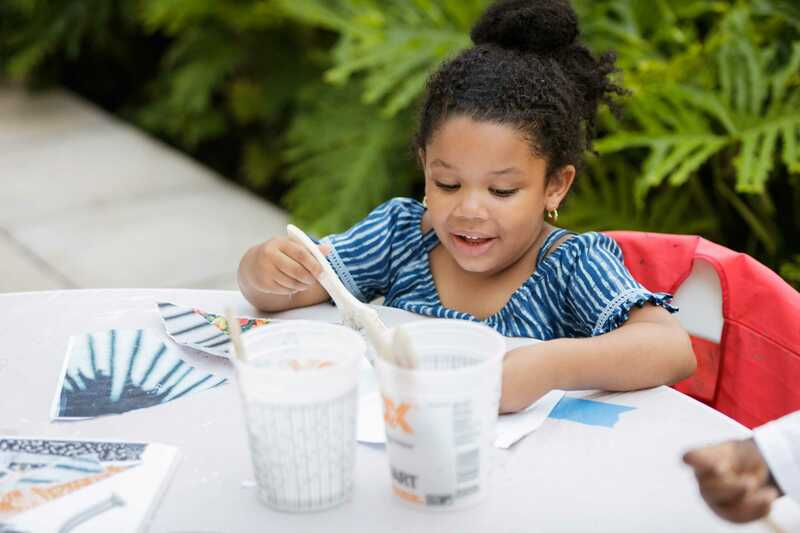 The Norton offers an array of programs that encourages families to create together, and inspires each participant to tap into their inner artist just waiting to break out! During the Mini Book + Art program, which is offered in English and Spanish (Mini Libros y Arte), children and grown-ups participate together in a book reading and discussion, followed by a hands-on art workshop. En esta actividad en dos idiomas los niños y los adultos participarán juntos en una lectura de libro, una conversación y una clase de arte. Las lecturas y clases serán en inglés y en español simultáneamente. Cada taller se enfocará en un libro y una obra de arte de la colección del Museo o de la exhibición especial. Every Saturday, children ages 5-12, and their accompanying grown-ups, participate in a thematic tour, followed by a related art workshop. Each weekend is a new experience. Advance registration is recommended.